With the countdown to Highland 2007 now well underway, event organisers are being encouraged to get on board with Scotland's year of Highland culture. Highland 2007 is calling on organisers planning events showcasing the Highlands and Islands as a great place to live and to visit to add these events to the programme for the year ahead. Events celebrating the rich culture of the Highlands will be integrated with many hundreds of events already shown on the Highland 2007 website www.highland2007.com to encourage visitors to the area next year. Where possible, events shown on the website will be added to the printed programme for Highland 2007. The first edition of the Highland 2007 programme, covering events between 1 January and 30 April, will be launched before Christmas. To be considered for inclusion in this first edition of the programme, full details of events taking place between 1 January and 30 April 2007 must be entered using the online form by 30 October 2006. 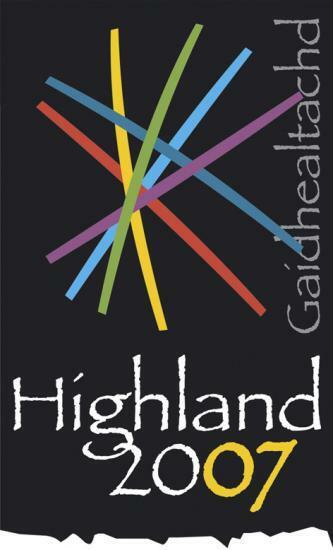 Alison Bell, marketing and communications manager for Highland 2007, said: "The Highland 2007 programme of events will be issued in four parts, with the first edition covering the period January to April inclusive. This will enable us to make sure each edition gives up to date information about the events coming up over the next few months. "We want to hear from event organisers throughout the area who would like to be included in the programme. By including as many events celebrating Highland culture in 2007 as possible, everyone will see just how much is taking place in the Highlands and Islands next year and why this is a great place to live and to visit! we will include as many as possible."